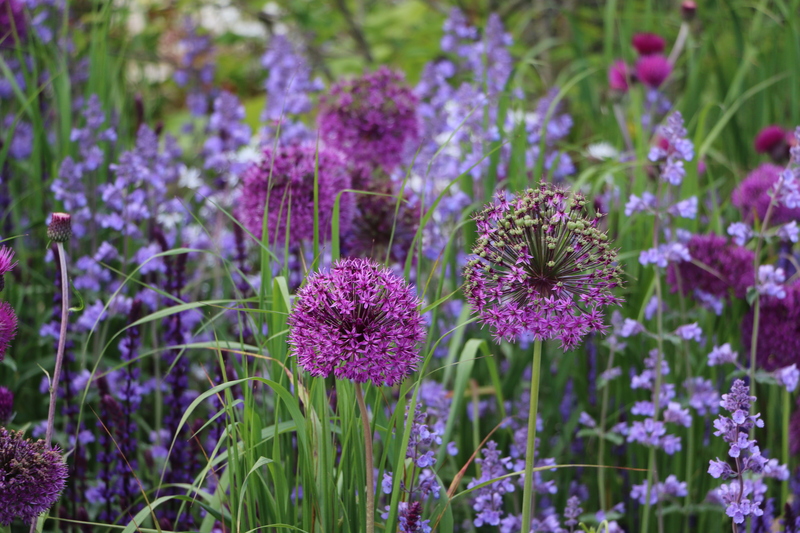 Bloom 2015 : Colour, colour, colour! 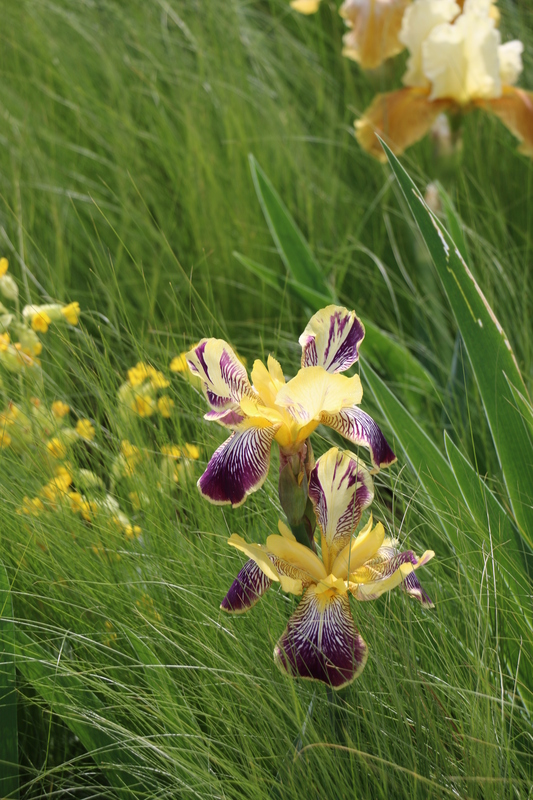 ← Bloom 2015 – the key plants. 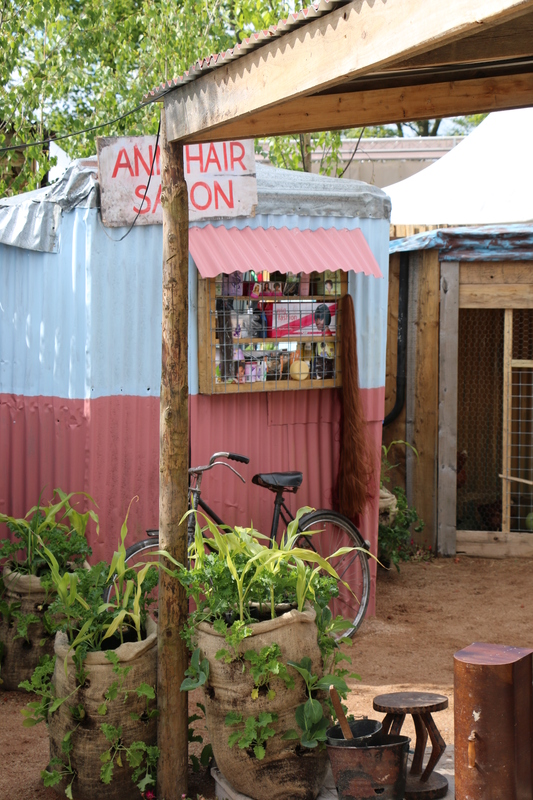 Show Gardens, like Fashion Shows, do not reflect reality. They are there to provoke thought, make an impact, showcase trends and hopefully inspire. 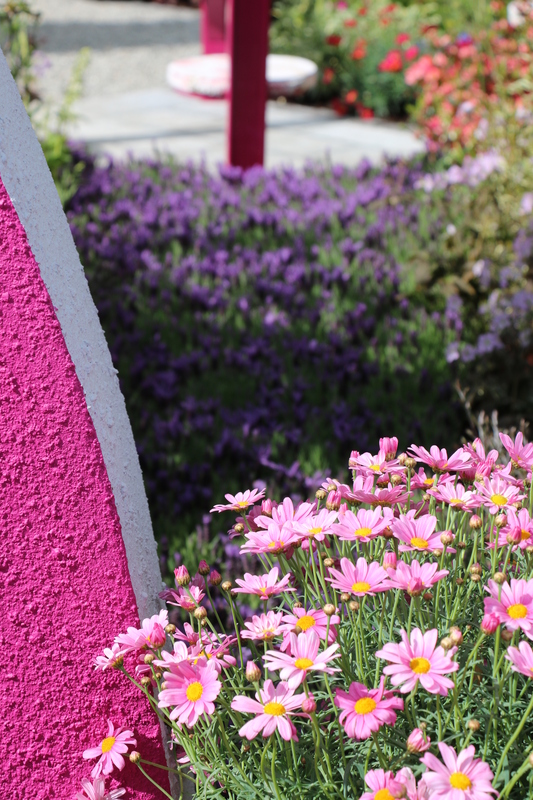 If there was a defining word for this year’s Bloom Garden Festival, in Dublin’s Phoenix Park, it would be ‘Colour‘ ! 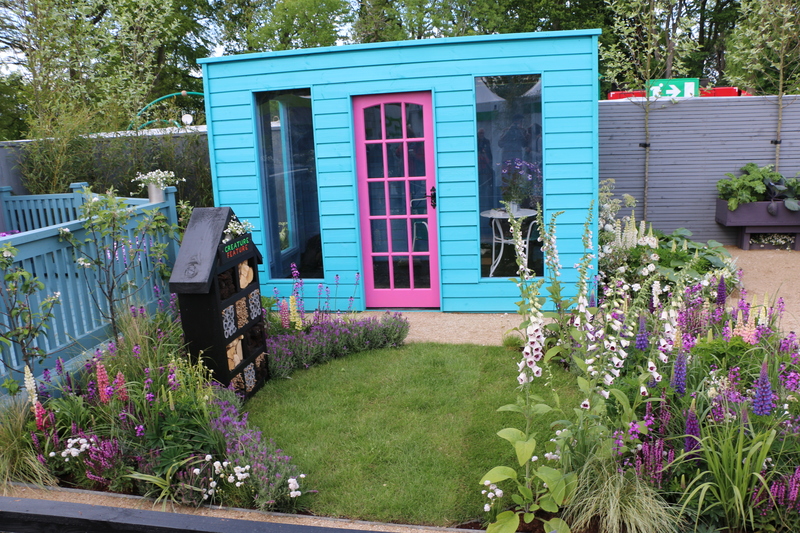 Bright colourful planting of course but colour spread itself onto walls, fencing, sheds and props – a lift to the spirits after Ireland’s dull cool Spring. 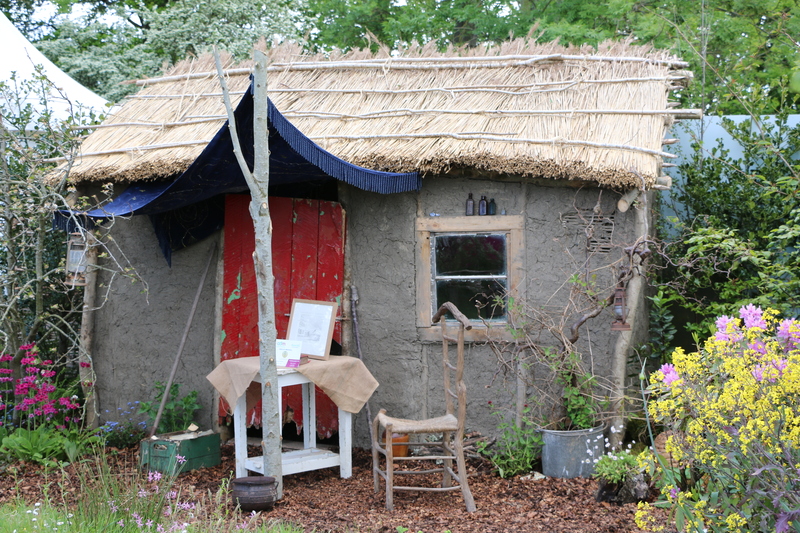 The Irish Country magazine garden featured many of the current trends of upcycling, edible gardening and bright colour. 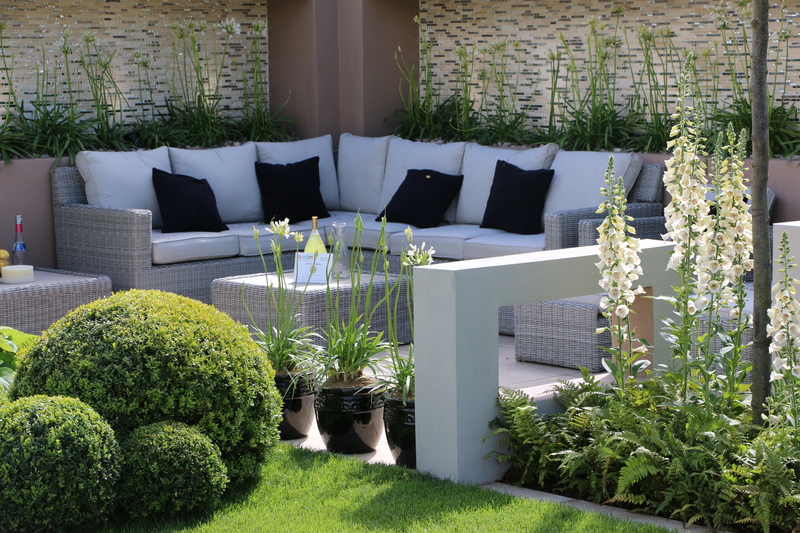 Irish Country Magazine garden designed by Fiann Ó Nualláin and Lisa Kelly. 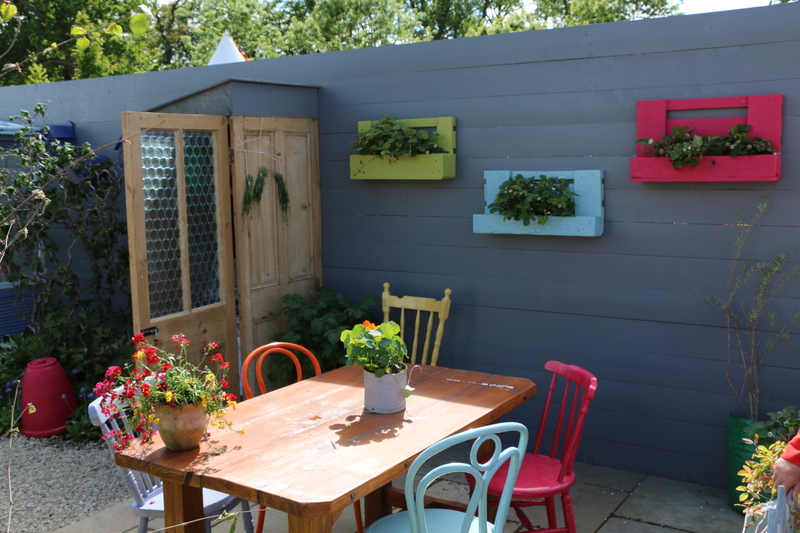 The Irish Country Magazine garden featured key trends such as edible gardening and upcycling as well as using lots of colour. 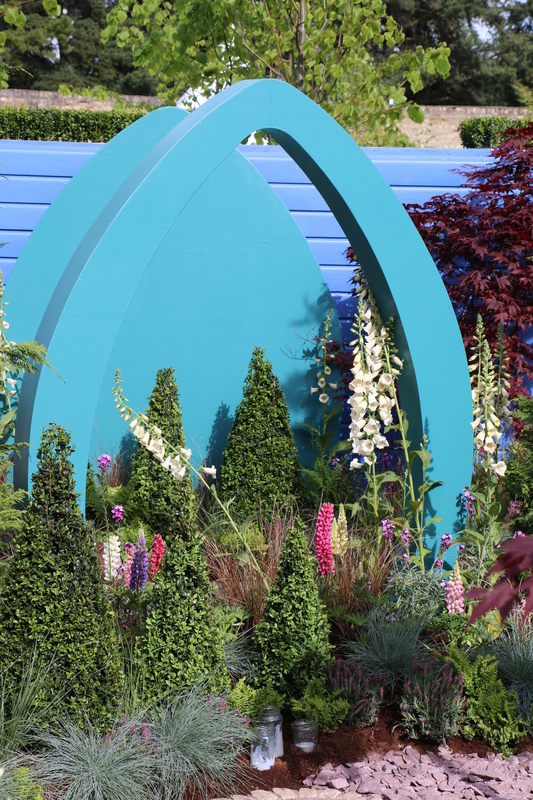 There was carefully orchestrated colour too amongst the planting schemes. 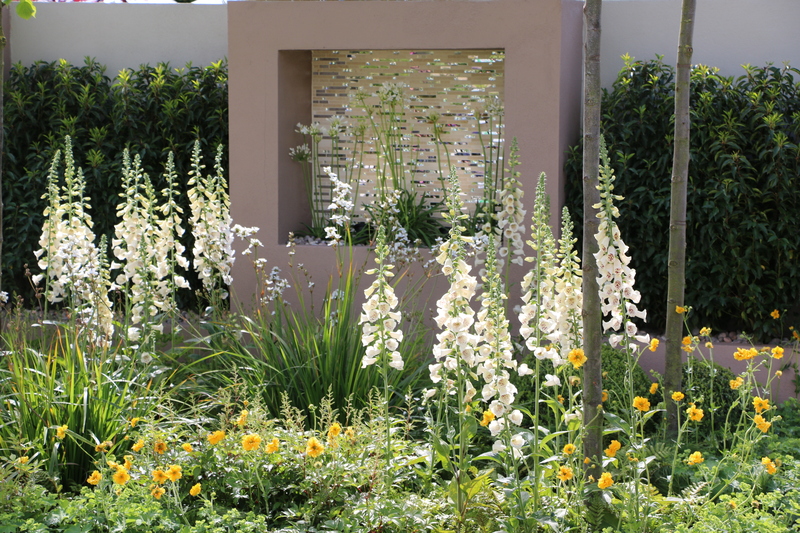 We loved the restful soft colours – white Agapanthus, foxgloves and yellow Geums amongst lots of greenery – on the elegant Solus Garden of Light designed by Alan Rudden. Solus Garden of Light, with areas of shade and light. 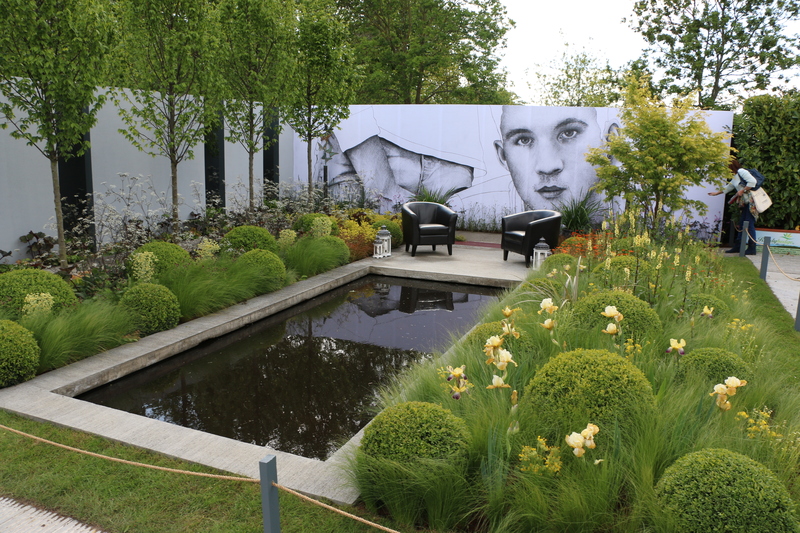 The ‘Darkness into Light’ Pieta House Garden, designed by Niall Maxwell, with its contrasting box globes, waving grasses, Anthriscus and Irises. ‘Darkness into Light’ Pieta House Garden. 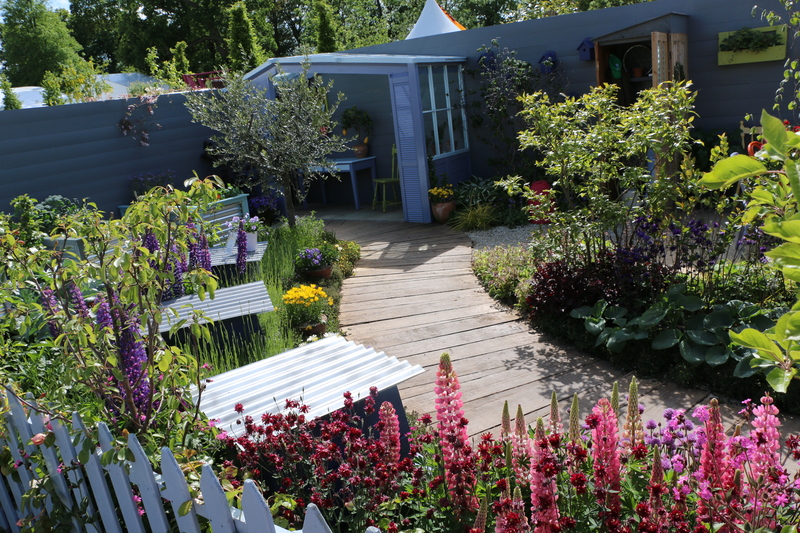 The stunning blues, mauves and purples of the “Our Origin is Green” garden by Jane McCorkell. Design by Jane Mc Corkell. The figure represents the reflective period that Ireland is undergoing in the wake of austerity. 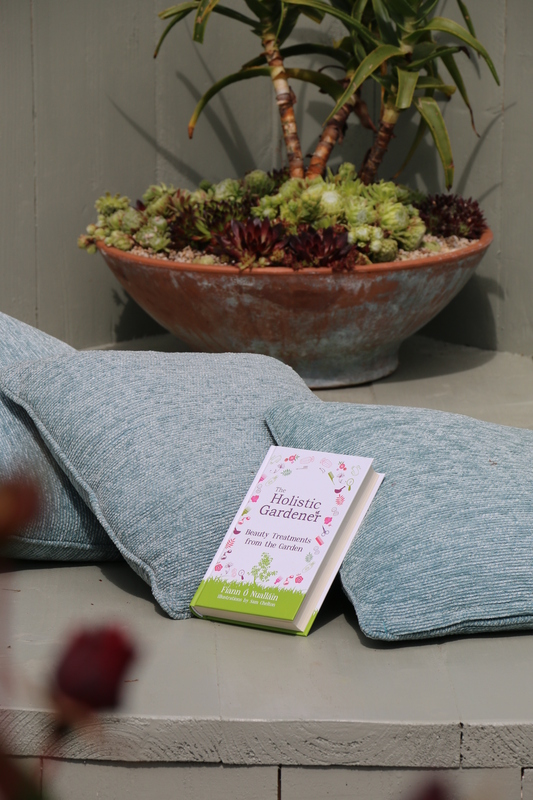 But what is a garden without good seating to relax and enjoy it? There was plenty of inspiration. 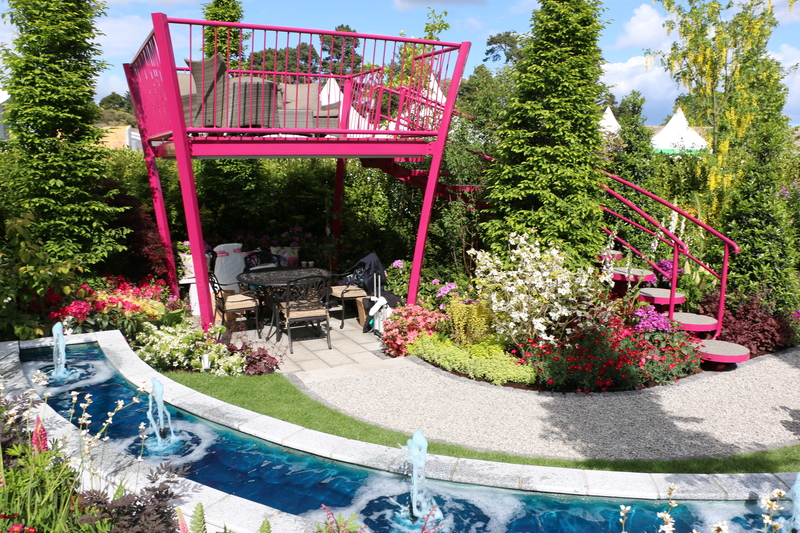 Bright colours, bubbling water and great upstairs/downstairs seating on the Crumlin Childrens Hospital Garden. 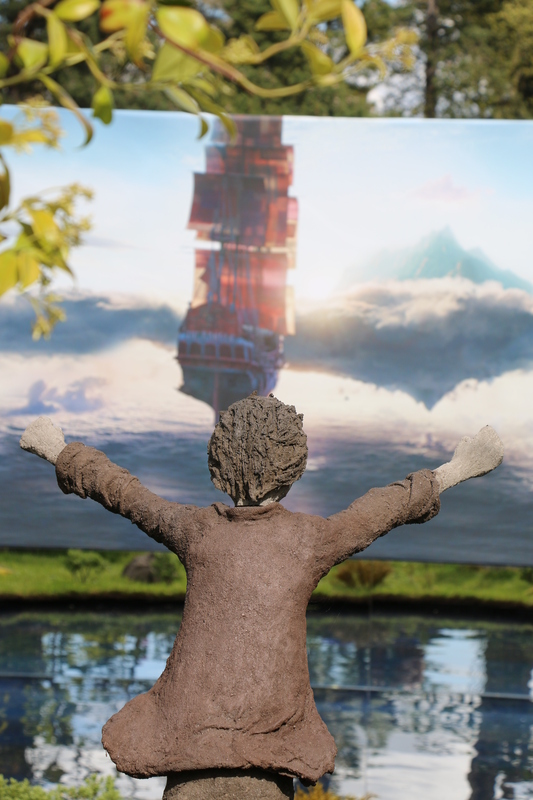 And then there were the Concept Gardens, designed to provoke thought. 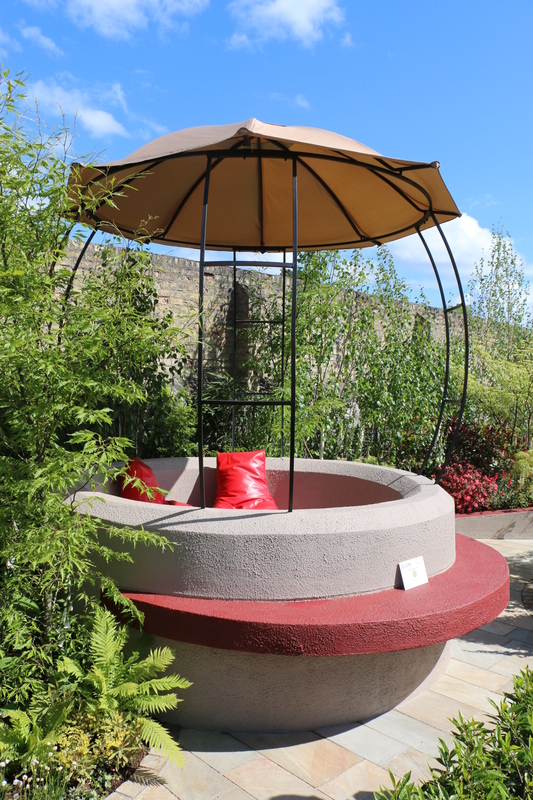 and the lyrical beauty of the Yeats’ Secret Garden in Sligo, designed by Lorely Forrester, where visitors could be overheard reciting excerpts from the poem which inspired it . 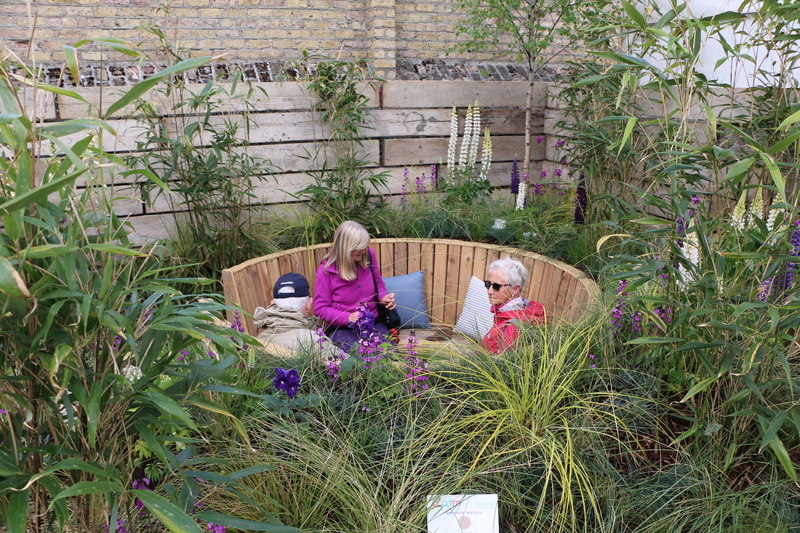 Very impressive too was the GOAL garden, designed by Joan Mallon, which showcased sustainable gardening practices in East Africa. 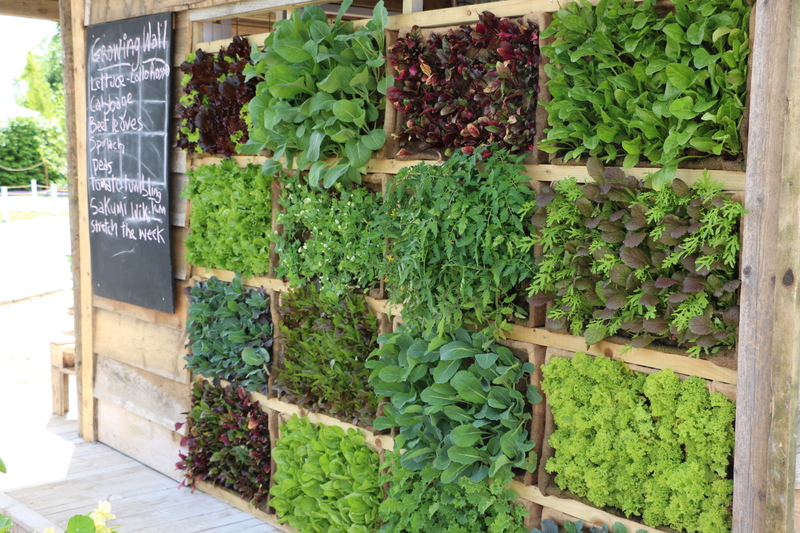 So what ideas and trends could we take home and apply to our own gardens? Use art or murals to create year-round interest. Use of water – still and contemplative or moving and lively – adds an extra dimension. 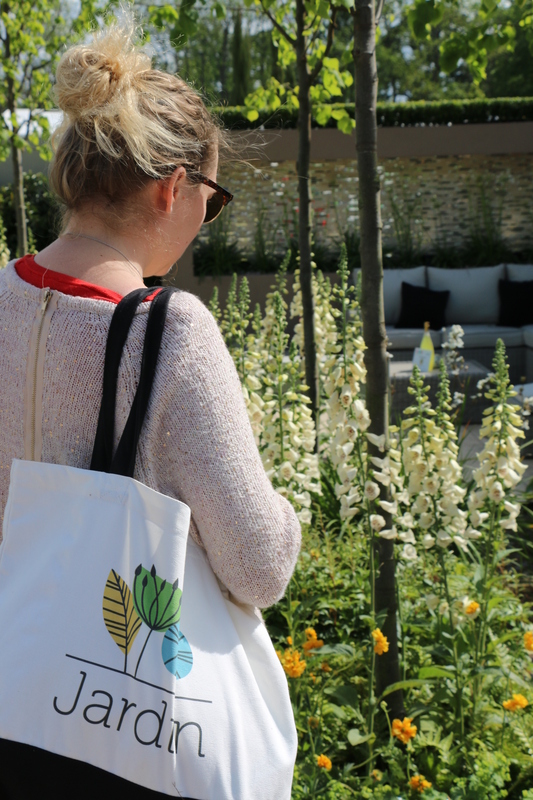 And during Bloom, Bord Bia revealed, in a survey of over 1,800 people, that the rose remains Ireland’s favourite flower, followed by lavender, daffodils and tulips. 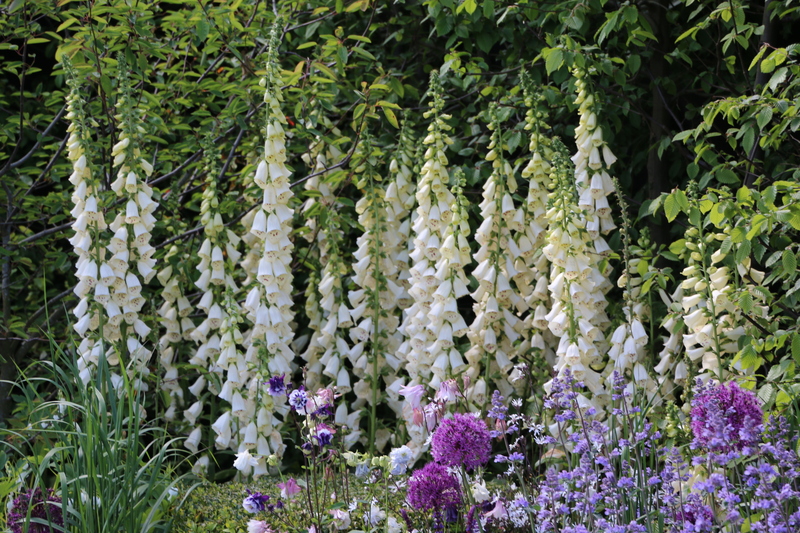 Perhaps foxgloves may be on that list next year! What a great festival. I think all gardens should be full of color. I wish we had some shows like that here. Many thanks! Much as I like restrained elegant gardens, it was great to see such inspirational use of colour. Ahh Merci beaucoup Christiane! Un plaisir. Such beautiful gardens, Lorna. I love that stunning red sculpture and the meaning of it. 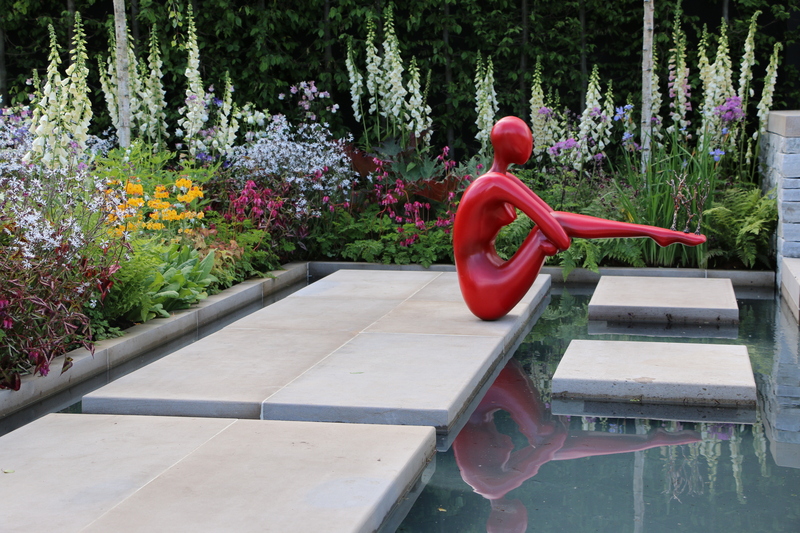 The red sculpture was a little startling at first but felt right once the story of the garden unfolded. Beautiful designs. I can see some of the ideas and design implemented though. I love the use of purple in those walls with the red blooms. Maybe it would easily tire over time, but what a display. 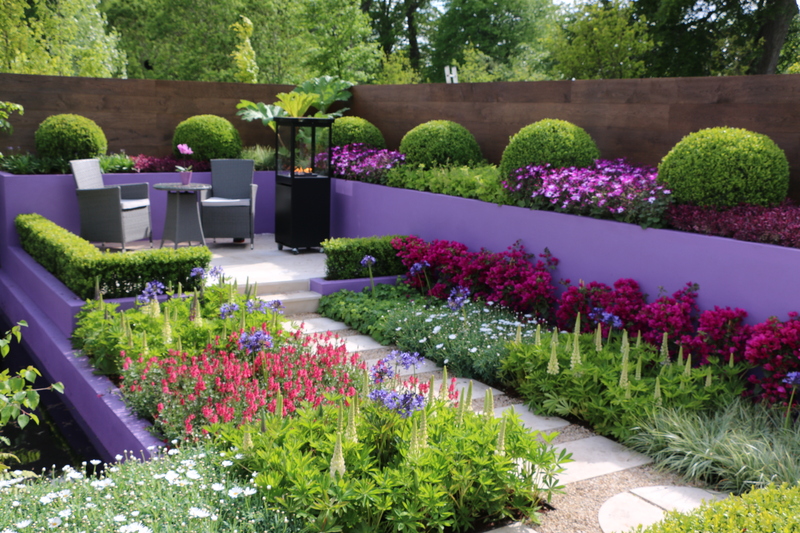 Yes, the purple walls certainly made an impact though I don’t think I could live with them… but that’s the beauty of Show Gardens. All of these photos are so lovely, Lorna. Colour, colour, colour is right! Thanks so much Jewels – it’s always a feast for the senses every year! Garden Shows are always stimulating! Amazing pictures!!!! I especially love that unexpected lilac colored wall in one of the gardens..stunning. Thanks Cindy, lots to inspire. Bold colours were The Thing at last year’s festival!